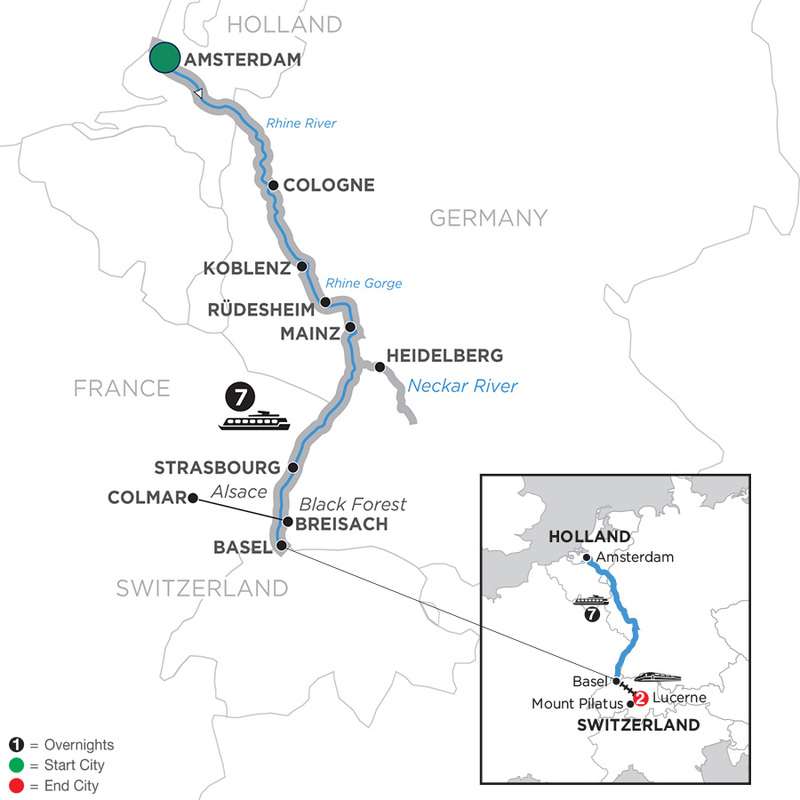 Your 10-day European river cruise vacation includes stays in Holland, Germany, France, and Switzerland-embarking from Amsterdam. Before sailing down the Rhine River, you’ll enjoy a guided canal cruise through the Netherlands’ colorful capital city of Amsterdam. 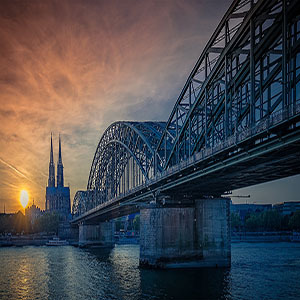 Visit the German capital city of fascinating Cologne, with its soaring twin-steepled gothic cathedral, or take a guided walking tour of important Jewish heritage sites. Next, you’ll cruise to Koblenz-with 2,000 years of history in its monuments, fortress walls, and towers. Later, relax on the Sky Deck of your ship as you pass through the spectacular Rhine Gorge on your way to Rüdesheim. You’ll take a guided tour of Rüdesheim’s intriguing Mechanical Music Museum. 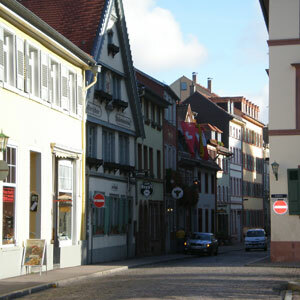 Sail into Mainz for guided city sightseeing, including a visit to the impressive Gutenberg Museum and continue with an excursion to nearby Heidelberg. 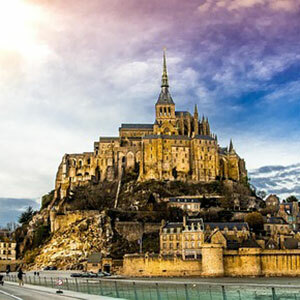 Cruise to the beautiful city of Strasbourg, France, then to Breisach, Germany, the gateway to Germany’s Black Forest-an area of unrivaled natural beauty-best known for Black Forest ham, cherry cake, and the cuckoo clock. You’ll sail to Basel, Switzerland, to disembark from your Avalon Suite Ship® and continue your European vacation tour with a visit to Mt. Pilatus and Lucerne. With services provided by Monograms®, you’ll have a Local Host® to arrange your sightseeing, free-time recommendations, and any other assistance you need during your 2-night stay in Lucerne.